Provides maximum protection for all soft hoses while ensuring a strong, positive seal. Band, liner, and housing are made from stainless steel. Plated 5/16" slotted hex head screw. 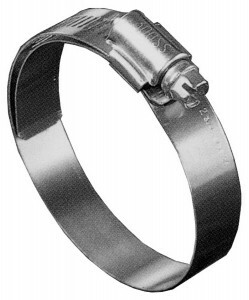 Inner liner covers band serrations which prevents hose damage.